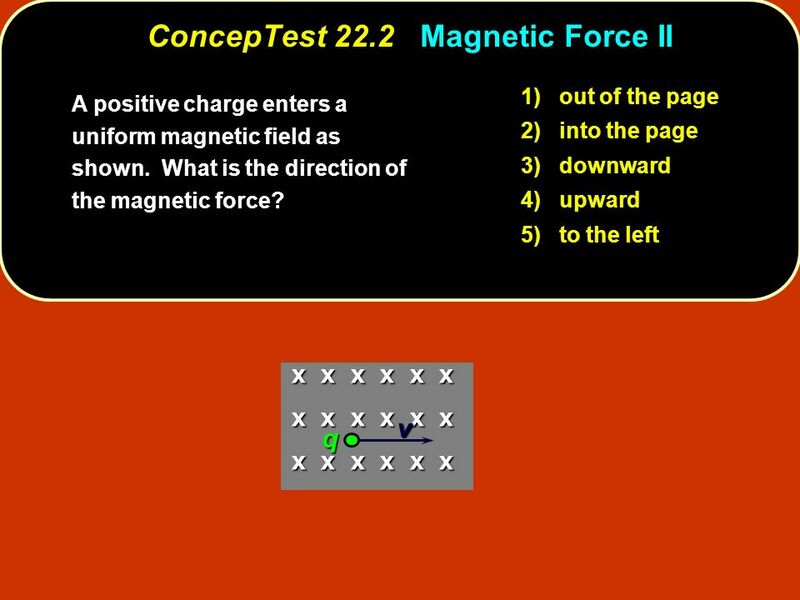 3 1) out of the page 2) into the page 3) downward 4) upward 5) to the left x x x x x x v q ConcepTest 22.2 Magnetic Force II A positive charge enters a uniform magnetic field as shown. 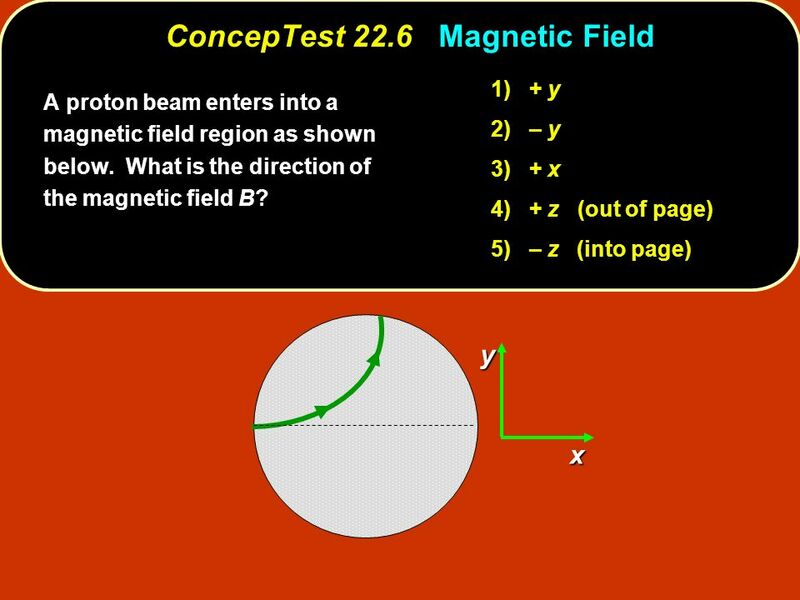 What is the direction of the magnetic force? 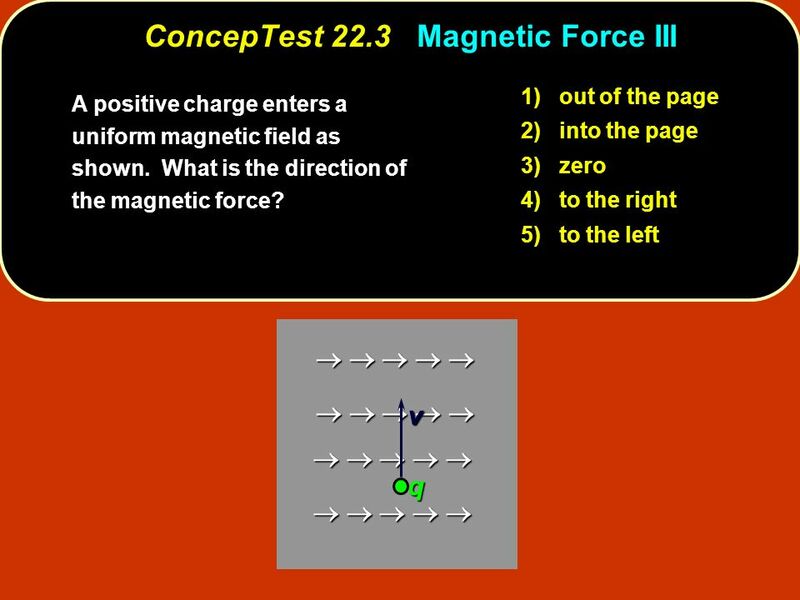 4 1) out of the page 2) into the page 3) zero 4) to the right 5) to the left v q ConcepTest 22.3 Magnetic Force III A positive charge enters a uniform magnetic field as shown. 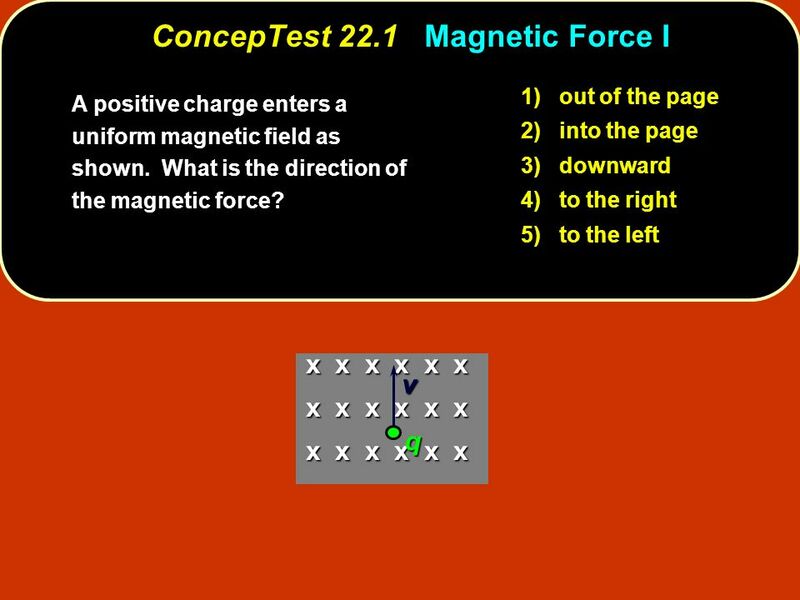 What is the direction of the magnetic force? 5 v q 1) out of the page 2) into the page 3) zero 4) to the right 5) to the left ConcepTest 22.4 Magnetic Force IV A positive charge enters a uniform magnetic field as shown. 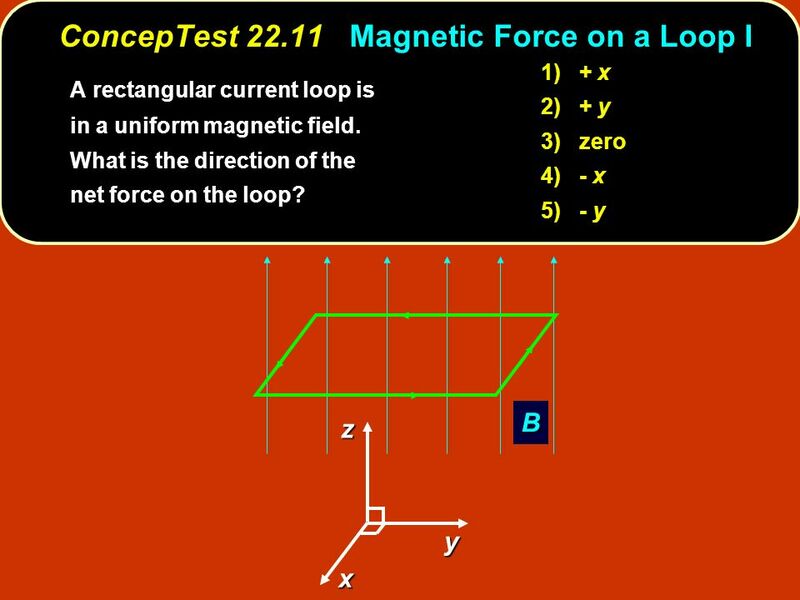 What is the direction of the magnetic force? 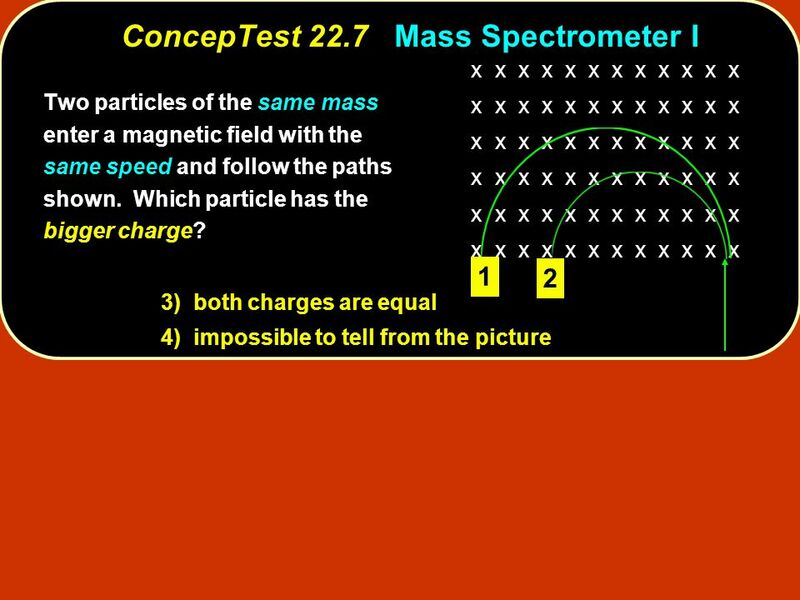 6 ConcepTest 22.5 Atomic Beams x x x x x x 1 2 3 4 A beam of atoms enters a magnetic field region. 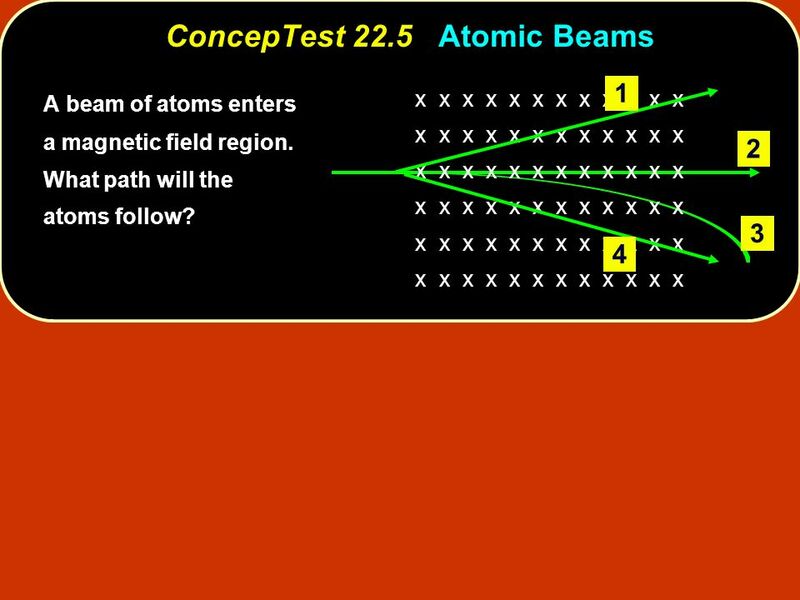 What path will the atoms follow? 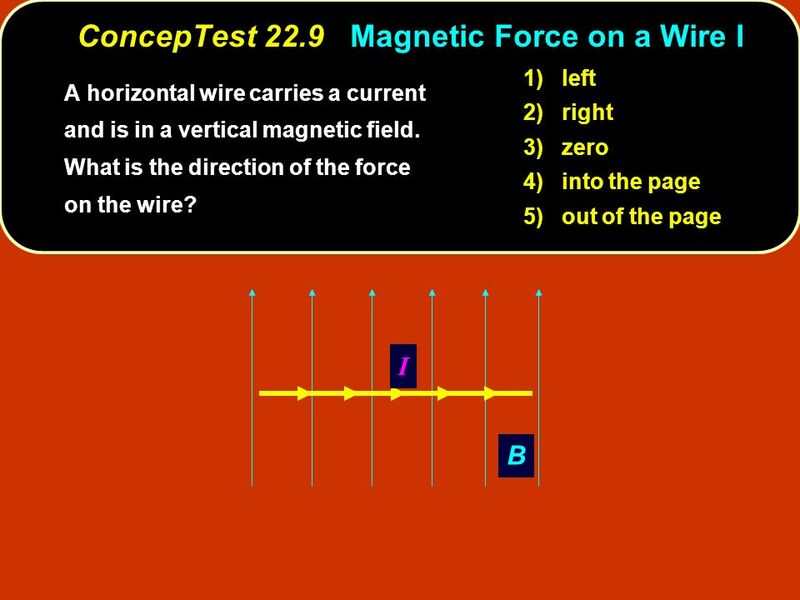 11 B I 1) left 2) right 3) zero 4) into the page 5) out of the page ConcepTest 22.10 Magnetic Force on a Wire II A horizontal wire carries a current and is in a vertical magnetic field. 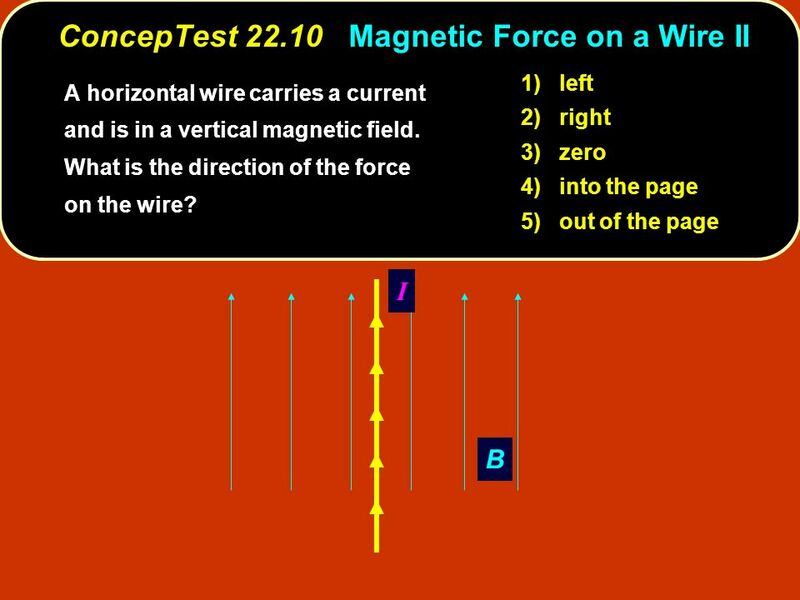 What is the direction of the force on the wire? 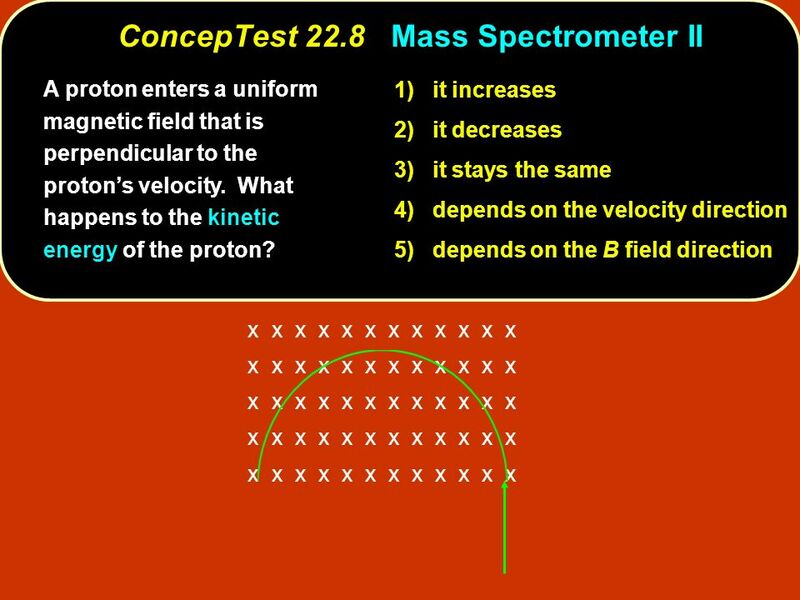 Download ppt "© 2007 Pearson Prentice Hall This work is protected by United States copyright laws and is provided solely for the use of instructors in teaching their." 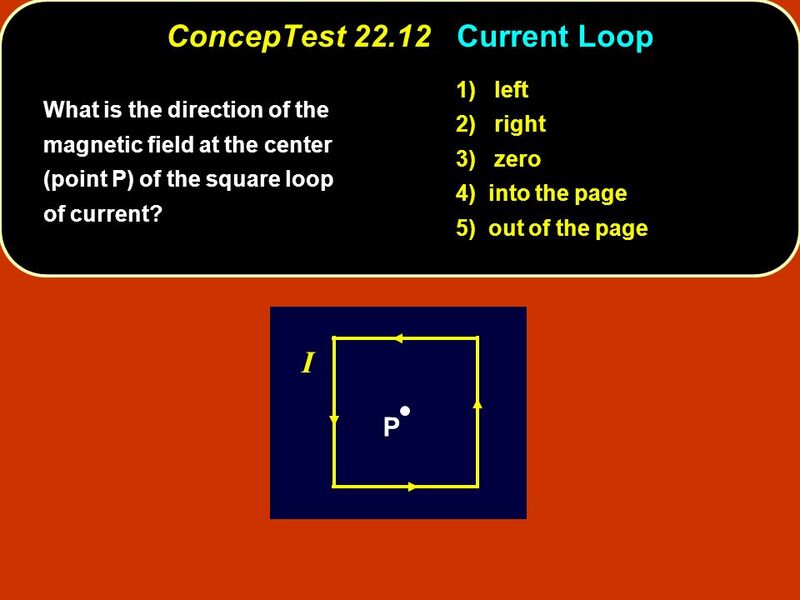 © 2005 Pearson Prentice Hall This work is protected by United States copyright laws and is provided solely for the use of instructors in teaching their.